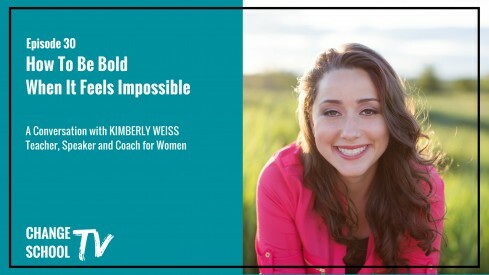 As part of this month’s series on the topic of (being) Bold, we spoke with special guest Kimberly Weiss, teacher, speaker and coach on a mission to dismantle diet culture and help women not feel like sh*t. She works with smart women that are into body positivity but still struggle with food + body and want to stop giving their power away + trust themselves. Kim can be found at KimberlyWeiss.com, Instagram @KimberlyWeiss and on her podcast F Your Diet. She also runs a satire instagram account @lifestylechangebarbie. If you want to stop passing on BS beauty/body rules to the next generation, she invites you to join her community email truthtuesdays for unfiltered honesty and fun. This month’s series is all about being BOLD and Kim is one boldass bosslady! If you're ready to make a BOLD move in your life or career then sign up to our signature online course Confidently Create Your Bold Career Move in less than 5 weeks! Kimberly Weiss, teacher, speaker and coach on a mission to dismantle diet culture and help women not feel like sh*t. She works with smart women that are into body positivity but still struggle with food + body and want to stop giving their power away + trust themselves. What does “bold” mean to you? And… When have you been called to BE bold in your life / work? Can you share about a time when it’s felt impossible to be bold? And how you overcame it? You’ve lived in different countries. Do you find that certain places are more conducive or challenging for people to live boldly? How do you navigate or adapt to it? Can you share about a time when you’ve faced a major obstacle in your life / work and how you overcame it? I’m a huge fan of the message and creativity behind the work that you do… to me the ‘bold’ factor is about empowering women in their self-image and self-care. Could you share more about the work you do, who your clients are, and how you work with them to live more boldly? Any “pro” tips you can share with our viewers who are working to be bolder in their life + work? Where can people find more info about you + your work and how can they connect with you? Ignore everyone else (yes even your best friend). They aren't you. Take advice from others sure - but be your own guide. Say the thing that needs to be said even though it might make people angry. Do it anyways. Self care and rest. You must and need to give yourself breaks. It's essential for bold work. Set boundaries. Know your limits, sometimes break them, but don't be everything for everyone. As always when we have a special guest on the show, we’ve designed a downloadable Tip Sheet with the 5 pro tips Kim’s just shared so you can print out, pin it up, and start living more boldly! Confidently Create Your BOLD Career Move TODAY! 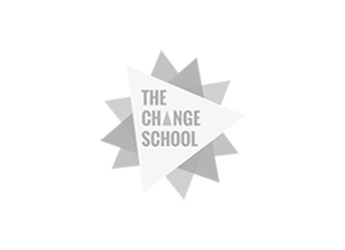 If you're feeling stuck in your career, unfulfilled or unhappy then NOW is YOUR TIME.